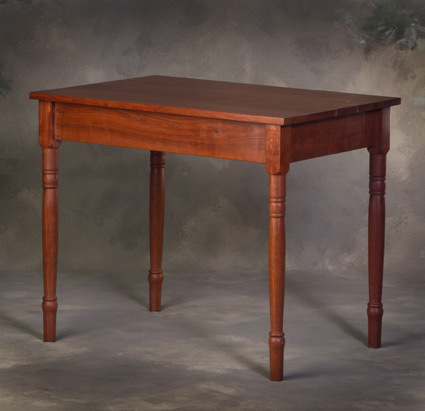 This solid cherry table is a perfect match for the Logan Creek Desk or as an extra sidepiece for the Jackson Desk. Hand oiled to a smooth glowing finish. The table is 28 ½” high, 28” wide, 24” deep. Available with a drawer for an additional $250.00. $895.00 Plus tax and shipping.